I am making a batch of 3 of them. 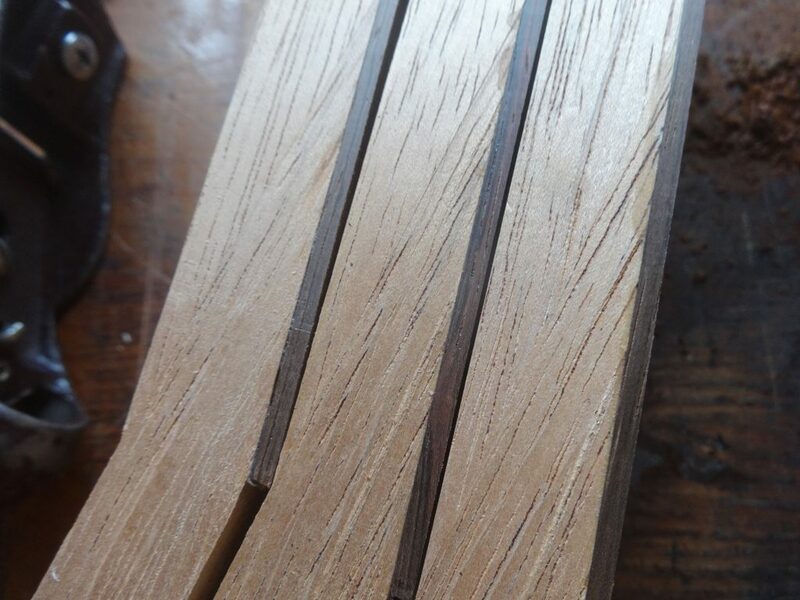 All will be negras, with Indian Rosewood back and sides. Two will be 650 scales, one 640. One will be Spruce, the other two Cedar. 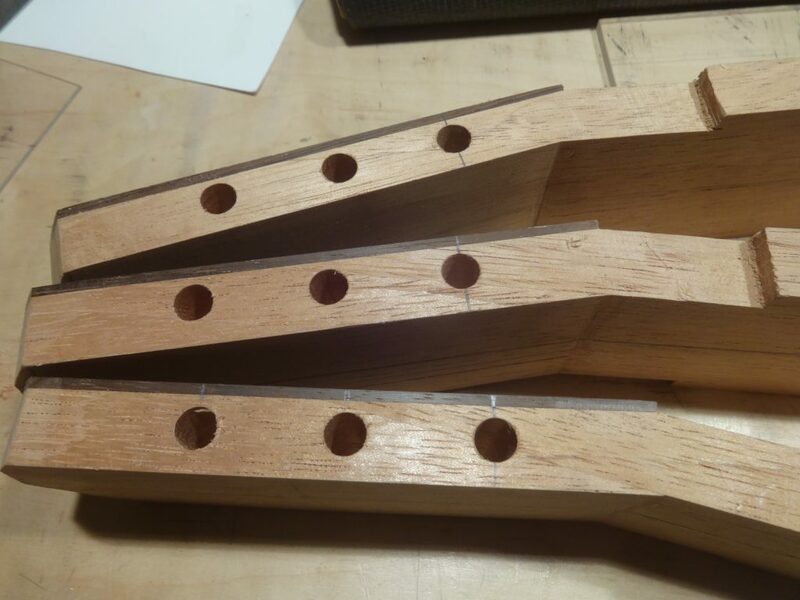 I plan to make the two 650 scales on the solera, building on the neck. The 640 will have the body built separately from the neck. 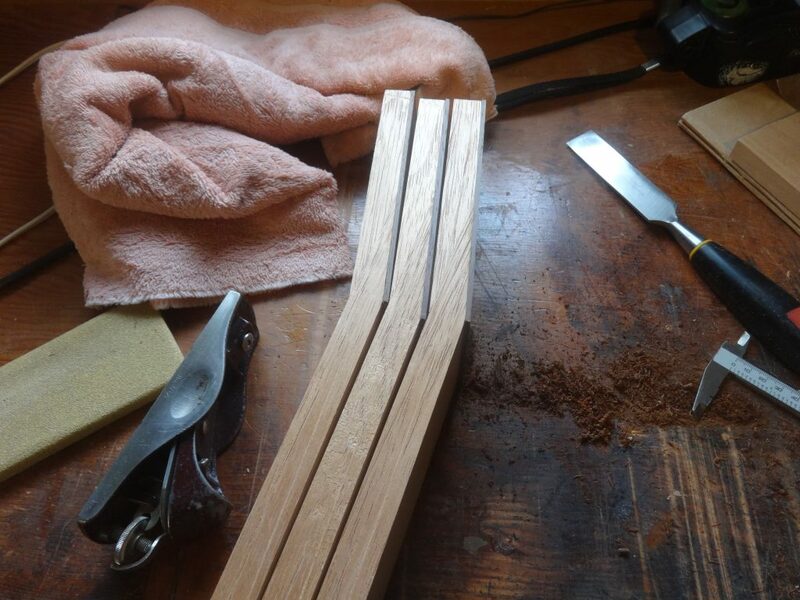 I have the necks underway, so I want to show some pictures. 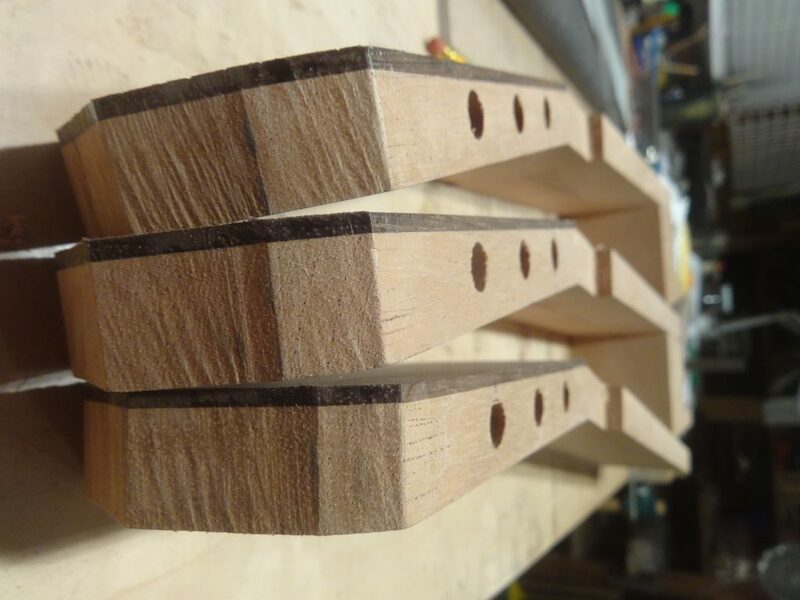 Check back for more progress on this batch of guitars… soon. 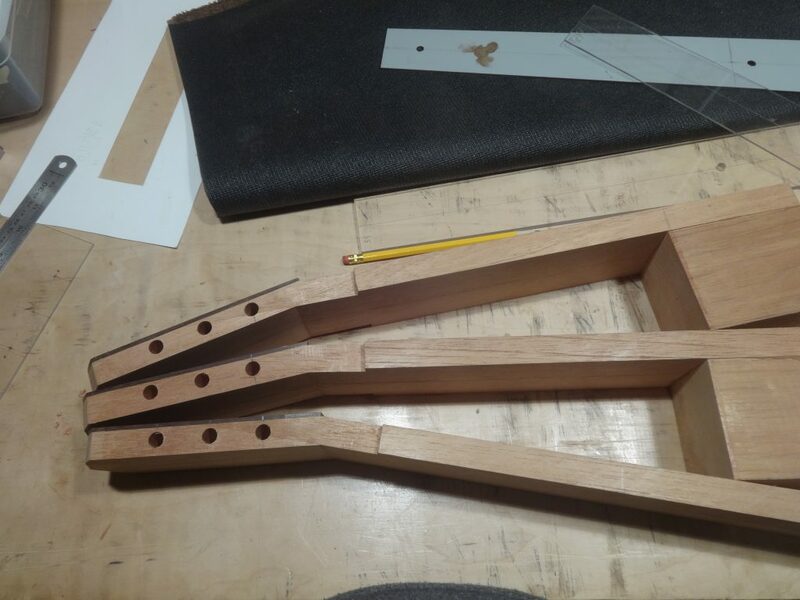 This entry was posted in neck, Uncategorized and tagged cut-away, Necks, three cut-aways. Bookmark the permalink.